Fossil fuels are abundant and versatile sources of energy that have been used for thousands of years. Liquid and gaseous fossil fuels were formed by anaerobic decomposition of buried dead organisms including phytoplankton and zooplankton that settled to the sea and lake bottoms in large quantities up to 650 million years ago. Over geological time, this organic matter mixed with, and was overlaid with, soil and other sediments. As layer upon layer of material settled to the bottom of the sea, the resulting high levels of heat and pressure caused the organic matter to chemically alter, first into a waxy material known as kerogen and then with more heat into liquid and gaseous forms of petroleum. 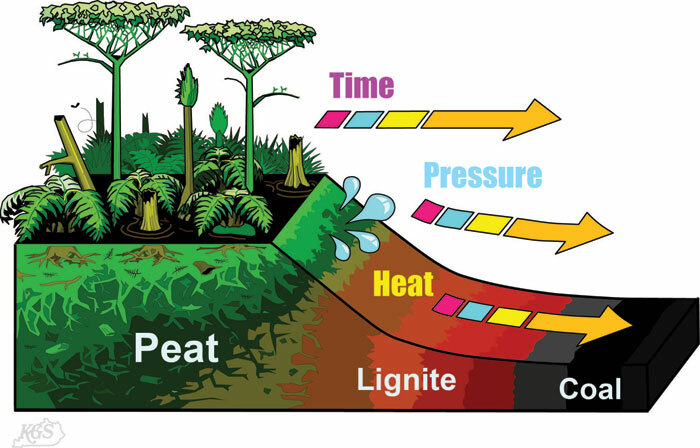 Similarly, terrestrial plants that settled at the bottom of swamps tended to form coal and methane gas. Coal is a much younger product than petroleum, and coal fields typically date to the Carboniferous period of Earth's history, or about 350 million years ago. 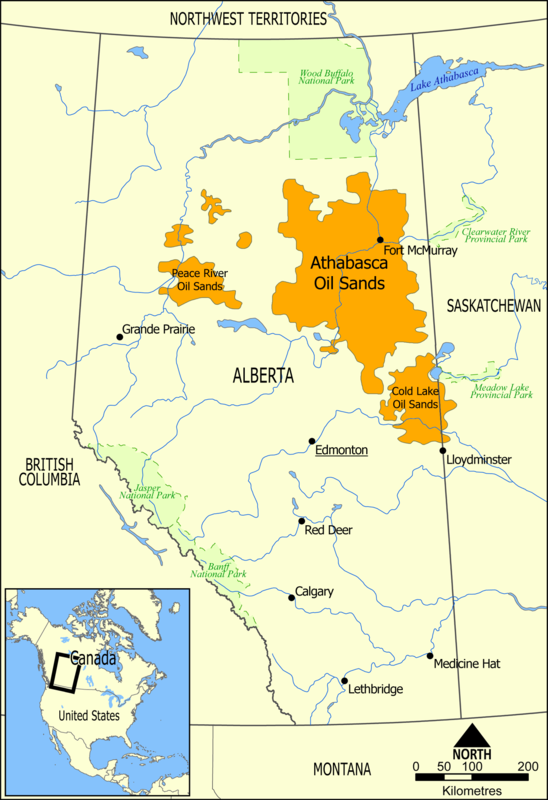 Fossil fuels are hydrocarbons, i.e., combinations of hydrogen and carbon atoms, that can be burned (oxidized to carbon dioxide and water), producing significant amounts of energy per unit weight. The amount of energy released when they are burned depends on the ratio of hydrogen to carbon atoms. The most common forms are coal (least efficient), petroleum and natural gas (most efficient). The use of coal as a fuel predates recorded history, and it is now a significant source of fuel for electrical power generation. Semi-solid hydrocarbons from seeps were also burned in ancient times. In the 19th century petroleum began to replace oils from animal sources, primarily whale oil, for lighting, and widespread use of petroleum as a transportation fuel began in the early twentieth century with the introduction of the internal combustion engine. Natural gas was once flared-off (burned) as an unneeded byproduct of petroleum production due to difficult in transporting it to end users. However, with the development of a large natural gas infrastructure, it is now a significant source for heating and for electrical power generation. The United States Energy Information Administration (EIA) estimates that in 2014 fossil fuels provided for approximately 79% of the energy sources used in the US. Of this, natural gas accounted for approximately 30%, petroleum liquids 26%, and coal 23%. Unfortunately, the use of fossil fuels has negative environmental impacts. In particular, burning of fossil fuels produces a variety of air emissions. Although modern forms of emission control technology are now able to capture much of those emissions, the ability to economically capture large quantities of carbon dioxide (CO2) remains elusive. Electrical power production generates the majority of CO2 emissions, with burning of coal being being the primary culprit. Although there has been considerable debate in past years, the vast majority of scientists now concur that carbon dioxide is one of the greenhouse gases that contributes to global warming, causing the average surface temperature of the Earth to rise in response, and that burning of fossil fuels is the biggest contributor to this effect. A global movement towards the generation of renewable energy is under way to help reduce global greenhouse gas emissions. Nevertheless, fossil fuels play such a critical role in daily life and the creation of prosperity across the globe that they will undoubtedly remain an important source of energy for the foreseeable future. The Fossil Fuel Topics package provides information on a variety of fossil fuel topics of general interest to the American public. Information from a number of sources is provided, including links to videos that have been produced spcifically by Our World of Energy for broadcast television. What are the different types of fossil fuels? How long have petroleum products been used as an energy source? 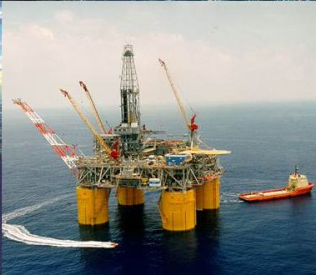 Where is oil found in the US? How do the different types of fossil fuels compare for generating electricity?